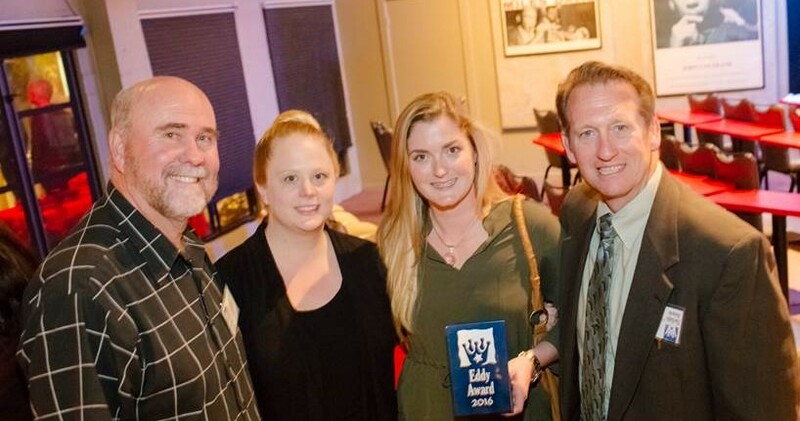 The Boys & Girls Clubs of Santa Cruz County was named Organization of the Year at the annual Eddy Awards given by the Santa Cruz Education Foundation. On hand to accept the award May 3 was (from left) Executive Director Bob Langseth, Program Director Katee Freeman, Education Director Leah Levin and Board of Directors President James Dyer. The Eddy Awards honor teachers, school staff, parents and community members and organizations that make schools great. Boys & Girls Clubs of Santa Cruz County is a proud partner with Santa Cruz City Schools and other school districts in ensuring students have a safe and engaging place to be after-school and in the summer. We thank the Santa Cruz Education Foundation for this honor and for the great photo.